The reform implies complex changes in the education system and includes pre-school, general, vocational, higher education and science fields. Within the framework of education reform, the school readiness program will be provided for all children of Georgia for years of 2021-2023. In addition, new educational programs and resources will be introduced, based on the principles of inclusive and civil education. A new model of teacher certification and salary policy will be developed and approved within the reform scope as well. Within the general education direction, the development of skills and values, critical and creative thinking, adaptation of a rapidly changing environment and a "new school" model based on literacy will be introduced. It is important t onote that the school will undergo a process of decentralization, moving from a uniform approach to a differentiated approach, to establish the school principal as a leader, and trained teachers. The pilot of the "New School" model was successful in the 150th Public School in Tbilisi and its implementation will be gradually completed at all schools by 2024. Within the scope of the "New School" model, schools have a refurbished computer classes, equipped with broadband and WiFi. First graders' netbooks will be modified and modern educational resources (eg Minecraft Education Edition, Scratch, etc.) will be installed. The website el.ge will be developed, where the educational and cognitive resources will be integrated. Stringing lessons will be introduced. Interesting speakers will conduct online lecture cycles, which will focus on developing critical thinking in students and deepening of mathematical and algorithmic skills. In the 2018-2019 academic year, 11th and 12th grade graduates were cleared for graduation exams. The new model of evaluation gradually increases the autonomy of universities and reduces parental expenditure. Starting from the year of 2020, entrance exams will be conducted in three mandatory subjects: Georgian and Foreign Languages. The third exam is based on the programs of higher education: Mathematics - Technical, and History - in the case of humanitarian fields. 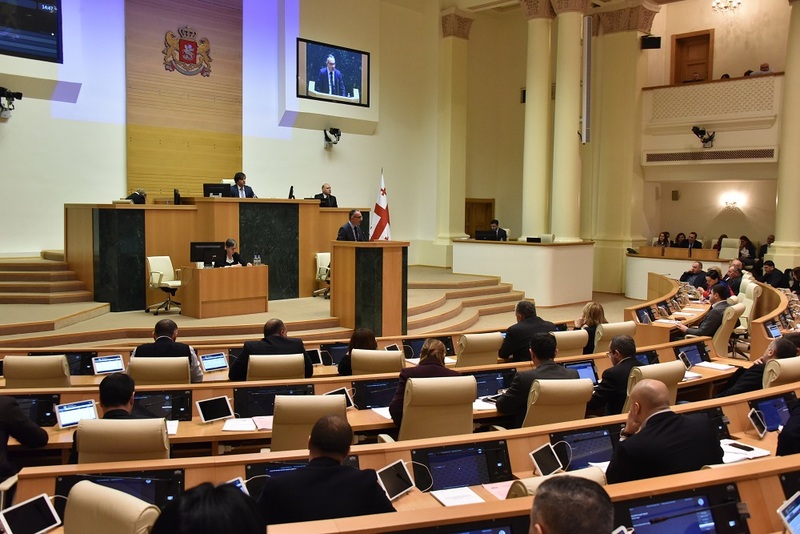 Construction of 9 new public schools in Tbilisi as well as the regions will be completed by 2019 and 265 public schools will have completed the renovation. 8 special schools will be renewed. A Construction of 35 new schools will start, in conjunction with starting the construction of a new city of education and science, which will unite different educational space and become a regional hub. The Office of Resource Officers will unify three important areas for creating a safe, non-violent environment: Resource Officers, Psychological Services Centers and Crisis Intervention Group, which was created for timely and effective response to crisis situations. Furthermore, in 2019-2020, the resource officers will be added to 260 public schools. Two new psychosocial service centers will be added in Samtskhe-Javakheti and Samegrelo regions by 2019. In addition, 8 Regional Center for Resource Officers will be created. Vocational education will focus on regional development needs and quick employment. The youth will be invited to artake in regional vocational activities whilst offering training programs. The diploma of the vocational education will equalize the full general education certificate. Private vocational institutions will be established in cooperation with the private sector. Furthrmore, a two-year action plan has been developed in the field of higher education aimed at implementing European standards for quality standards and guidelines (ESG 2015). 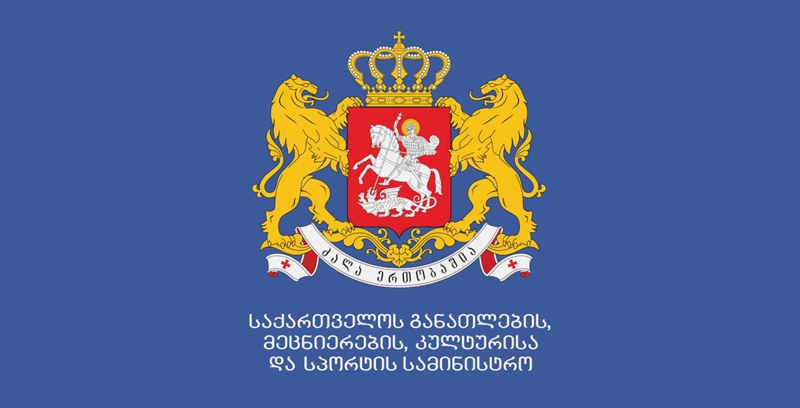 It is planned to join the European Agency for Quality Assurance Agencies (EQAR), which will ensure unconditional recognition of diplomas in Georgia and mobility of Georgian and foreign students. And lastly, there are quite a lot planned for the field of science in 2019, the EURAXESS Georgia Foundation will be part of the European Commission's initiative. EURAXESS-Georgia portal will be created, which will be integrated with EURAXESS's Pan-European portal. More than 40 countries are now involved in the portal. Engaging in EURAXESS will make Georgian researchers available to the EU internal scientific resources and increase the possibility of involvement in international scientific research. A new referenced electronic scientific journal "Georgian Science" is bound to be published. The state will fully fund public and private universities and scientific-research institutions to ccess ELSEVIER scientific bases. The education reform implies complex and interdisciplinary approaches to all directions, which ensures the transformation of the uniform system of education.